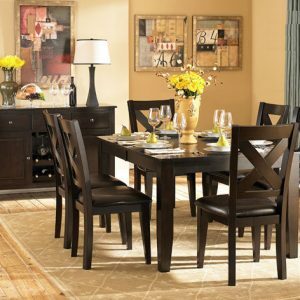 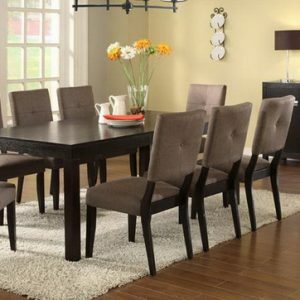 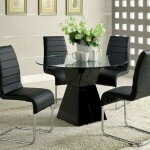 Brighten up any dining room with this contemporary round glass dining set. 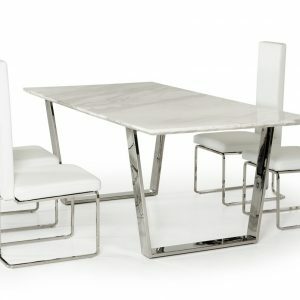 The Table sits on a single modern base. 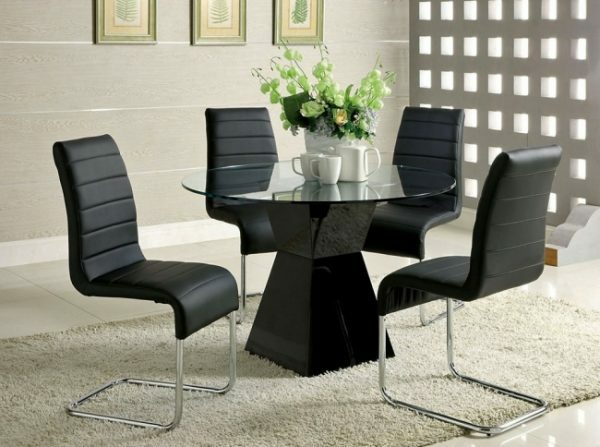 The chairs are padded and upholstered in leatherette and chrome legs.